For the Motorola Moto x pure edition users in the United States, am pretty sure most of you have already given up on an update already since it's been over a year since Motorola pushed an update to users in the United State, not even the regular monthly security patch from Google. But the good news now is that Motorola has started rolling out the long-awaited Android 7.0 Nougat update to Moto x pure edition users in the United States. Although this is the 7.0 update and not the 7.1.1, the new Nougat update comes with the latest September security patch from Google. The update might be coming a bit late considering the fact that users in other countries already got the update months ago but it's good news users are finally getting it after all. 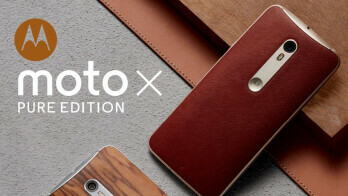 The Motorola Moto x pure which is also known as Moto x style in other countries might not get any other major update as the 7.0 Nougat might be last. So if you are waiting for the Android 8 Oreo update, then you might just have to change your phone to a newer model.